Houses and trees from a landscape in North Italy were depicted in painting and woodcut. At Sydhavn Station they were shown in three different types of rooms, each with a special characther. 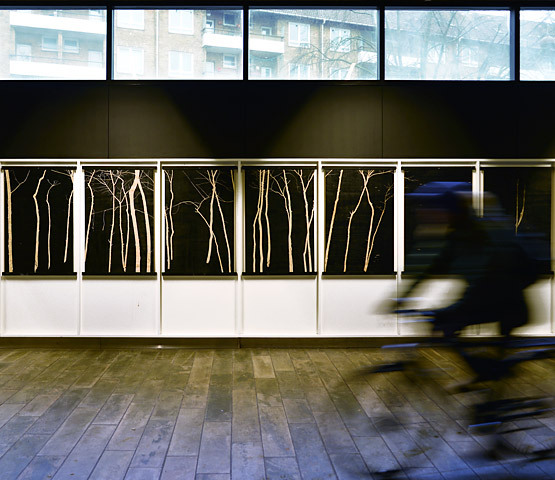 In the hall of the S-train station black sheets of plywood with carved trees were exhibitied in the poster holders. The wooden sheets were used to print the woodcuts hanging inside the exhibition space.